SF Cruises | Sonoma County Airport Express Inc.
Pier departure time approximate. Departs after all passengers have boarded bus from ship. Do I have to be concerned about the bus not having a seat for me? Because our cruise ship service is a reservation and prepaid service, we are easily able to add additional buses when we know one bus will be unable to accommodate everyone. We will have a seat for you. Do all ships use Pier 27? The majority of San Francisco cruise ships are berthed at Pier 27. In the past, ships have also used Pier 35 and 30/32. We always know weeks prior to any cruise which pier will be used for boarding and disembarking of our passengers. When should I purchase tickets for this service? You’ll want to allow enough time to have tickets in your possession prior to your cruise. Maybe no more than a week or two prior to the cruise, but of course, the earlier the better. If something unfortunate happens and I have to cancel my cruise are tickets for the bus refundable? Yes, tickets are refundable as long as you contact us by 3:00pm the day before your travel date. No limit! 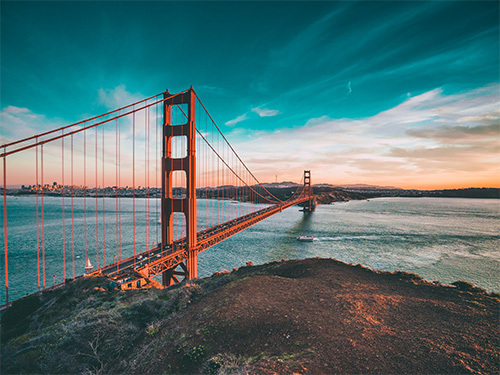 One of the main advantages to taking a cruise from San Francisco is that you are not traveling by air and not subjected to airline baggage policies. 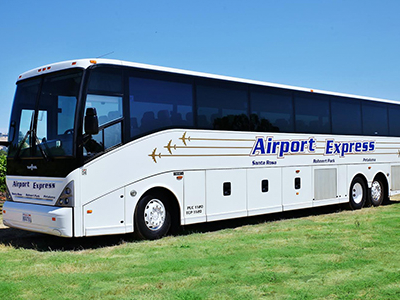 We at Sonoma County Airport Express as well as the cruise lines do not have baggage limitations for our San Francisco cruise ship passengers. What happens to my baggage once we arrive at the pier for our cruise? Before leaving home place your cabin tags on your bags. Once you give your bags to our driver, the next time you see your baggage will be in your cabin. Upon arrival at the pier your baggage is unloaded by our driver and representatives from the cruise line. Your bags are then sent directly to your stateroom. Any possibility the bus will return to Sonoma County without me? No! We will not depart the pier until all passengers who have purchased tickets from us are onboard our bus. Normally we are able to forward passenger lists to the cruise lines in order to have everyone disembark the ship in the same group. On the bus returning from San Francisco, will the driver radio ahead for a ride or taxi for me? Let the driver know before leaving the pier if you would like this service. They can radio ahead to have a cab or a friend waiting for you when the bus arrives.